In 1979, a new One Dollar coin, the Susan B. Anthony Dollar, was introduced as an alternative to the paper dollar. Unfortunately, the coin failed on several counts: One, the public preferred one dollar bills over a one dollar coin; two, the new dollar coins were too close in size to the Quarter Dollar, thus confusing the public; and three, the stern-looking image of suffragette Anthony failed to capture the public's fancy. 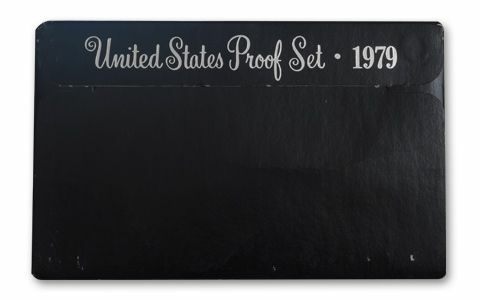 Despite these shortcomings, the presence of the new dollar helped raise 1979 Proof Set sales to over 3.6 million sets as collectors clamored for the new bucks. 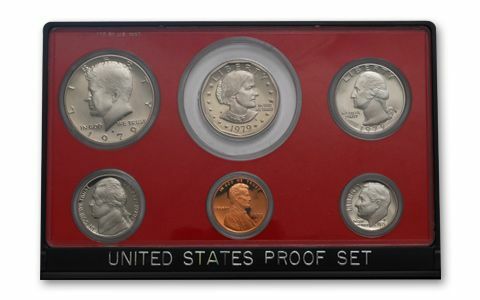 About the sets: All coins in the 1979-S Proof Set were intended to have a Cameo or Deep Cameo Finish. 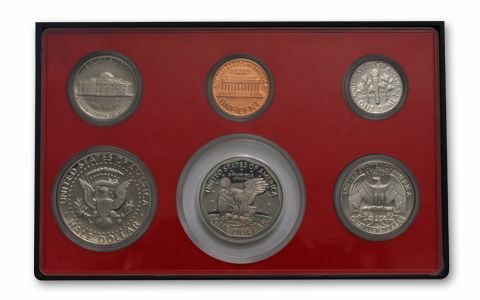 The coins in the 1979-S Proof Set come with two distinctly different mintmarks, known as Type 1 and Type 2. On the Type 1 variety, the serifs of the mintmark connect with the diagonal stroke of the "S" and the areas inside of the serifs are partially filled, giving this variety the nickname "Filled S." On the Type 2 variety, the mintmark is clearly defined, and the serifs are separated from the diagonal stroke of the "S". Of the two varieties, the Type 2 Plato (Flat) Top is the more desirable. 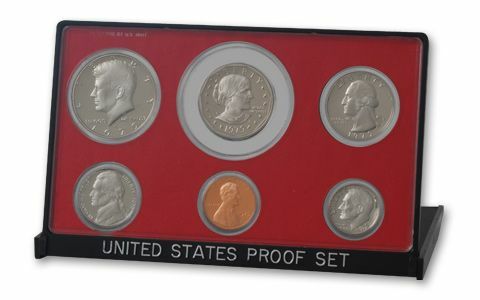 Most 1979-S Proof Sets contain the Type 1 mintmark variety. However, to be worth the "big bucks", the dollar must be of the Type 2 variety. On an individual basis, the Dollar is the rarest of the Type 2 varieties. 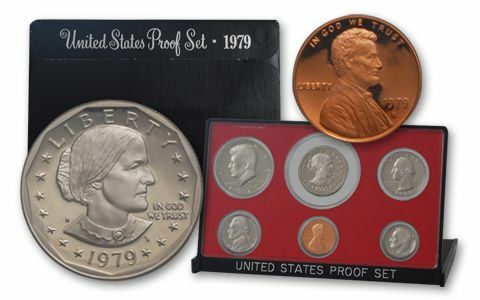 Original packaging: Identical to that of the 1978 Proof Set, except that the position once occupied by the Eisenhower Dollar is now occupied by the Susan B. Anthony Dollar. Because the new Dollar was smaller in diameter than the old, it was surrounded by a filler ring of clear plastic, making the coin seem to "float" in the holder. The frame and outer packaging also remained the same.